Every year the ski industry rolls out an onslaught of new equipment. From skis, to boots, to bindings, to clothing, there are new choices for everyone from beginners to experts. With so much new gear on offer, however, it's hard to tell what is worth a look. In this article we'll look at some recent offerings from Rossignol skis. Rossignol is one of the most beloved brands in the ski industry and they've earned a reputation for quality and performance. They offer a bit of everything from easy cruising beginner skis to wide-body powder skis for the backcountry expert. Rossignol skis have graced the feet of Olympic champions and big mountain legends worldwide, so if you're thinking about a new set of boards this ski season they are always worth considering. 2. What Are Some of Rossignol's Innovations? 3. Does Rossignol Make a Ski for You? 4. Where Can You Buy Rossignol Skis? 5. How Do Rossignol Skis Compare with Other Brands? Rossignol is a ski equipment and apparel brand headquartered in Isère, France. The company was founded in 1904 by Abel Rossignol, who was a carpenter primarily making wood spindles for wheels. He was a passionate skier and made his first commercial skis out of solid wood. They are still based in the French Alps but now owned by Quicksilver. Rossignol was one of the first companies to produce plastic skis. They were also an innovator in fiberglass ski technology, offering a full fiberglass ski in 1964. Almost definitely. With a wide range from custom pro models through budget-priced beginner packages, Rossignol offers something for just about every skier on the mountain. Most reputable ski shops will carry a selection of Rossignol skis for both men and women. 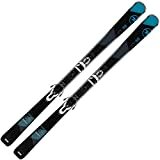 Amazon.com and other web-based retailers also offer a wide selection of Rossignol skis at reasonable prices. Most of the major ski brands on the market today use similar designs and construction materials including wood, fiberglass, carbon, steel, and various polymers. That said, Rossignol skis will have distinct design features, graphics, and specs from other brands. This means you will probably find unique combinations of width, length, weight, construction, turning radius, and looks in Rossignol skis you won't find elsewhere. For this article we chose ten different Rossignol skis that include products across their range. Our review includes both men's and women's skis and range from high-end expert skis through mid-level package deals that would be great for beginners. We broke down the features and key product specs for each ski but also considered how they stack up against other comparable skis on the market. For a quick reference we also provided pros and cons for each ski, their normal price range, and general performance profile. We have also selected on overall top pick based on value, performance, quality, and versatility. 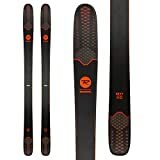 Rossignol skis have a fairly large price range and they can fluctuate in price based on size, construction, gender, and look. These skis will also vary in price depending on the model year and what time of year you are shopping. Most of the skis on this list range in price between $and $$$. 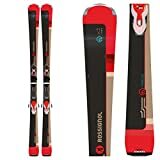 The Rossignol Experience 77 Carbon is an excellent package deal that is best suited to adventurous beginners and intermediate male skiers looking for room to grow. It's on the narrower side of Rossignol skis, so it won't feel overwhelming under foot on groomers and hard pack. It has a Basalt and Poplar wood core, so you'll get a responsive feel without too much added weight. Other top performance features include Rossi's Air Tip construction, Rossitop cap, and extended side cut for improved turning radius. These Rossignol skis are best mellow resort use by athletic beginners or intermediate skiers. The Experience 84 HD from Rossignol is an upper-intermediate or advanced men's ski for those who want to charge on the hard pack and groomers. The Air Tip construction on these skis keeps weight down in the forward area without sacrificing critical stiffness at high speeds. They also feature Rossi's Carbon Alloy Matrix core, which blends carbon stiffness with a light and responsive Basalt wood. The Experience 84 is great for high-end skiers that plan to stay on the groomers and hard packs. The Famous 6 is a powerful women's ski designed for improved carving without too much weight. This ski will appeal to intermediate and advanced women skiers who plan to stay on the front side of mountains and open them up for speed. They feature Rossi's Sandwich Duracap and Prop Tip Construction, both of which improve stiffness for fast skiing while also dropping weight lower into the ski's body. These skis will thrive in Eastern conditions especially on freshly groomed trails. The Sky 7 HD from Rossignol skis is an advanced men's ski for those who need excellent versatility. It's a true all-mountain ski that can handle soft and deep snow but also power through carving terrain on the front side of the mountain. These feature an Air Tip 2.0 Construction and Carbon Alloy Matrix core but couple those with a Powder Turn Rocker. The total is a ski that can handle most conditions a top-end skier wants to bite off. All-mountain ski for any terrain within a resort. The women's Soul 7 HD from Rossignol is an advanced ski for those who plan to spend most of their time in the powder but want to ski fast getting there. Like the men's Sky 7, this ski features the Air Tip 2.0 which is longer and more stable to reduce shake at high speeds. It has a wide 106 mm waist for maximum float in the soft stuff, but the Carbon Alloy Matrix also provide lots of stability for occasional cruisers. This ski is best in powder but can handle some fast cruising. The Super 7 HD is a true powder board for men who want excellent performance when things get truly deep. It's a similar ski to the women's Soul 7 HD, featuring the Carbon Alloy Matrix core, Powder Turn Rocker, and Air Tip 2.0. The thing that makes this a truly powder beast is the rocker coupled with a mammoth 116 mm waist under foot. These bad boys are for experts in powder only. Rossignol's Sassy 7 is a women's ski for intermediate skiers and beginners who need some added performance for mixed terrain. This a light wood-core ski, but it adds lift thanks to Rossi's Powder Turn Rocker. It also has a generous 92 mm waist to give plenty of grip on groomers and corduroy while also providing loft in fresh snow and crud. Great for adventurous beginners and intermediate skiers looking to try new terrain in the resort. The Pursuit 600 from Rossignol skis are powerful carvers for upper-level and advanced skiers who plan to stay on the fast carving runs most of the day. These feature Rossi's Power Turn Rocker, not to be confused with the Powder Turn Rocker. This design gives just a touch of rocker in the tip to ensure that you'll power through mixed conditions while maintaining stability at high speeds. This is for upper-intermediate and advanced men who plan to hit fast groomers and nothing else. The Temptation 88 HD is top choice for upper-intermediate and expert women who want an excellent carving ski without too much power. This ski's Air Tip construction and extended side cut found on some other models but also features Rossi's Auto Turn Rocker. This is specifically geared towards easy entry and exit from turns with minimal effort. They couple the poplar wood core with a basalt over layer to provide excellent responsiveness without added weight. Good for fast and easy cruising on the front side of the mountain. The Smash 7 is a comparable men's Rossignol ski to the women's Sassy 7. It's made for developing skiers ready to take on their first tastes of soft snow, glades, moguls, and ungroomed conditions. It has a Poplar/Fiberglass core that will feel light but responsive and features the Powder Turn Rocker for extra loft in soft snow. It's also an excellent value for beginners that want to start on the cheap with plenty of room to grow. Great for adventurous beginners and intermediates looking to expand their horizons. There is no single perfect ski for everyone on the mountain, but our top pick is the Women's Soul 7 HD. This Rossignol ski is a superlative example of an all-mountain ski that can truly handle anything that an advanced skier wants to try. It will not only thrive on forgiving Eastern groomers but also impress Western skiers on bona fide powder days. It's expensive and high-performance, so it won't appeal to beginners, but it's worth a look for just about anyone else.